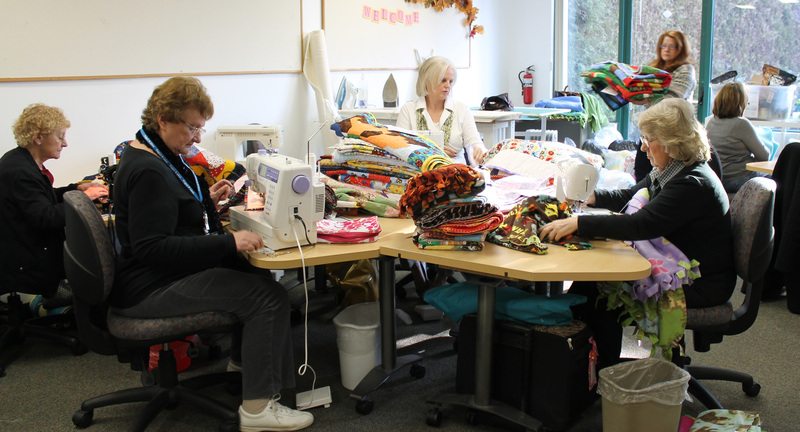 Thursday was the once a month meeting of the Portland chapter of Project Linus (our website is here if you are interested). We meet on the third Thursday of every month to prepare quilts for delivery. 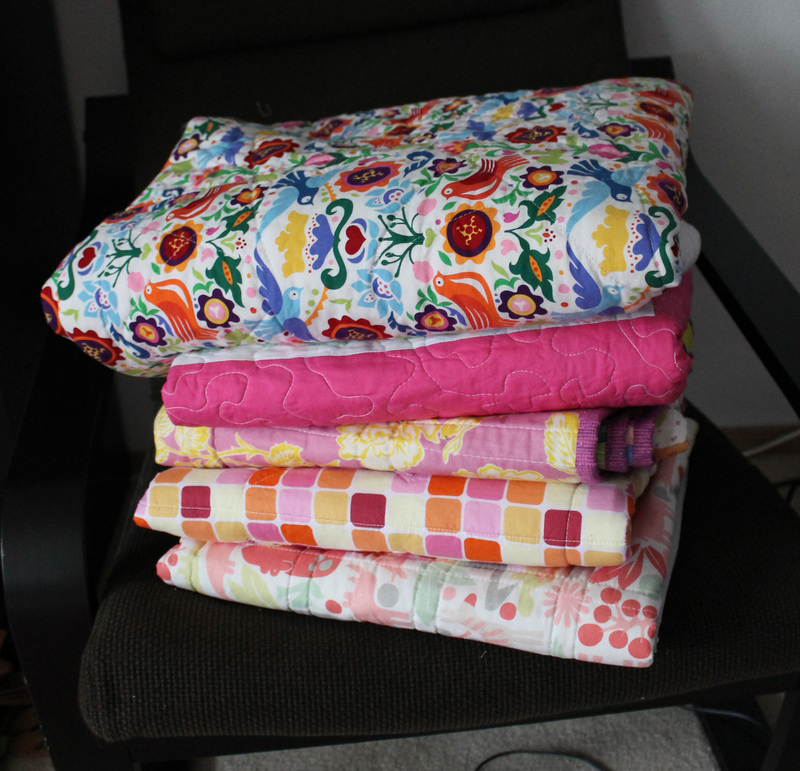 This month I delivered 5 quilts including my wonky star, and my two flower garden quilts. Every month a dedicated group of ladies gather at A Common Thread and spend three plus hours processing 200 + quilts and blankets. Each quilt is checked and sized (baby, child or teen). 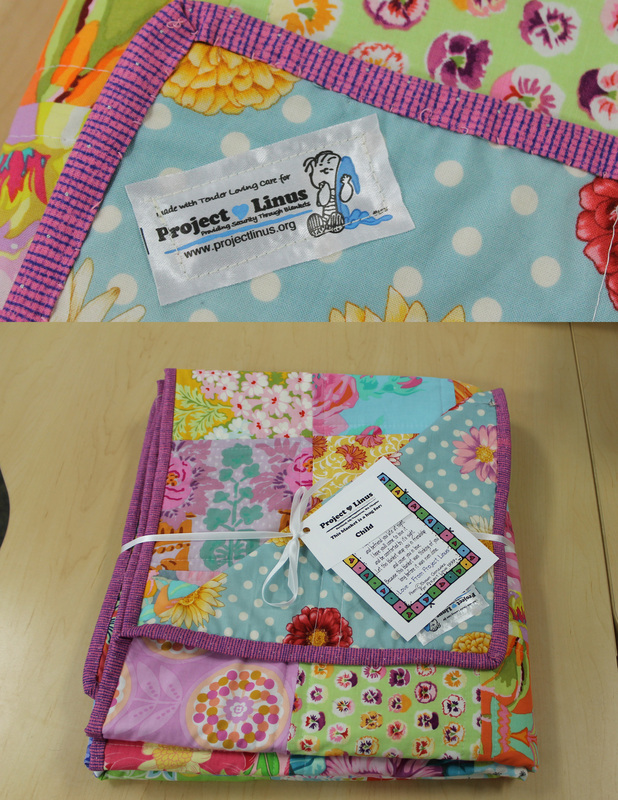 A Project Linus label is then sewn one to the back of the quilt/blanket. Finally the blanket/quilt is tied with ribbon and the size card and a poem is attached. 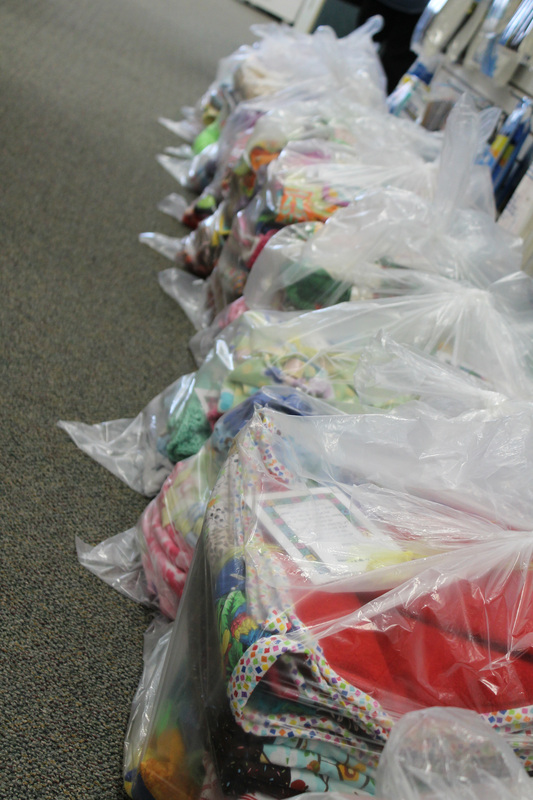 By end of the day the hallway of the store was full of bags of quilts, all sorted and ready to go out into the community. Wait ~ you live in the Portland Oregon area? I do too! What a worthy cause all these ladies are doing! There is such an amazing quilting community here in Portland. It is inspiring and intimidating all at the same time.